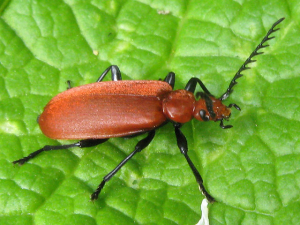 Cardinal beetle - but which one? Observation - Cardinal beetle - but which one? - UK and Ireland. Description: Found this the other day - which kind of Cardinal is it? Found this the other day - which kind of Cardinal is it?